Hopefully, today's blog post will be motivating. Why? Because it shows me actively trying to accomplish one of my 2017 goals--which was/is to expand my brand by securing more speaking engagements. Well, I definitely spoke to more audiences than usual, but not as much as I would've liked to. In any case, I'm very grateful for the opportunities I had to enlighten people on the importance of proper (correct) grammar, language capital, and diverse teaching methods. Here's the second video in my #ClassroomConversations video series. (You can watch the first video here.) 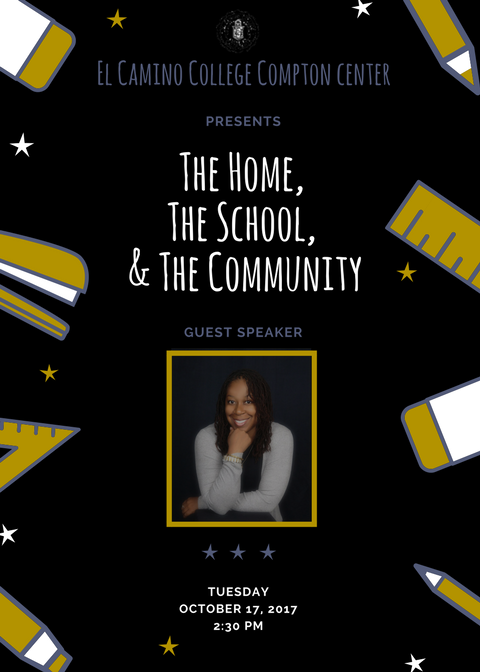 I am in my element--the classroom setting--discussing ways that the home, school, and community can impact a student's academic journey! I'm sharing this throwback video today because I want to encourage anyone who's uncomfortable speaking in front of people. Believe it or not, I'm uncomfortable speaking in front of people. I know, I know. As a current ESL teacher and former substitute teacher of seven years, I know it's weird to hear me say that I'm uncomfortable speaking in front of people. Perhaps I should word it differently: I'm uncomfortable speaking in front of people about topics with which I have no experience. Education...teaching...writing...I can talk about these things in front of millions. Well, not millions, but you get my drift. I have experience teaching students from multiple grade levels, and I have experience writing seven books as a self-published author. Therefore, I confidently speak to anyone about these particular topics.